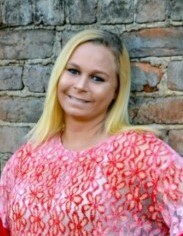 FOUNTAIN – Teri D. Summerlin, 33, died Thursday, February 7, 2019. Funeral, Thursday, 11:00 AM, Wilson Memorial Service, Wilson, with interment in Macclesfield Cemetery. The family will be at the funeral home, Wednesday, 7:00 – 8:30 PM and other times at the home of her grandmother, Sue Summerlin. Surviving are her daughters, Haleigh Jones and Macie Whitley of the home; parents, Johnny and Lynn Gardner Summerlin with whom she lived; paternal grandmother, Sue Hendricks Summerlin of Fountain; brothers, Wayne Summerlin (Christy) of Elm City and Brian Evans of Wilson; aunt, Betty Sue Young of Springfield, VA; uncles, Bryan Gardner (Becky) and Rodney Gardner; nieces, Lynsey and Savanna Summerlin; cousins, Catherine and T.J. Young.